One of the main prerequisites of setting up your first ever web page is finding a hosting provider for it. 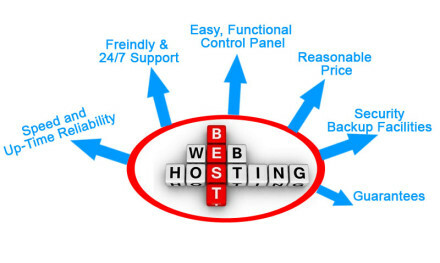 Your web host is responsible for keeping all your web pages online and active on the World Wide Web. With no web host, there are no websites. The first and foremost aspect that needs to be considered is the cost of the hosting provider compared to your budget. This is also the first step into finding a quality web hosting provider at lowest price. You can find providers which may give great discount coupons since hosting services may start from $10 to hundreds of dollars a month. The second thing you need to give a moment of thought is how efficient would you like your hosting provider to be. And how much time do you have to spend thinking about Web Hosting? If you’ve sorted the answers to these questions, then you’re set to go to step number 3 in the process of finding a quality host. This part of the website building process usually goes unnoticed. Like it’s mentioned before, the “I don’t need that space” attitude in step 3 might just get you into a fix after sometime, the availability of certain programs and scripts is also very important when choosing a hosting provider. Your website should have easy access to the backend links where you can change and edit the content on your website. Not all the content on a website can stay online forever without any changes. In this rapidly growing world, changes are inevitable on a day to day basis. Hence, go for a hosting provider who gives you a Content Management System (CMS) for your site. Some hosting providers also offer FTP which is also a simpler accessing tool. The sixth step to finding a hosting provider knows that their support system is efficient. If there is a problem in the site, the Support will fix it and help it get back up and running. An inefficient support system leads to a lot of lags and inconvenience for its users. Alas! You’re almost there to finding the best hosting service provider for yourself! Do not compromise on the above points and you’re surely up for getting a decent hosting package for yourself! Good luck!